The Météorites signature palette of corrective matte shades - refreshing pink and light-catching mauve - gently balance the complexion, while the dazzling pearls temper the shades’ intensity and blend harmoniously for perfectly tailored luminosity. The complexion glows with purest light. The skin looks soft, smooth, delicate and beautifully natural. 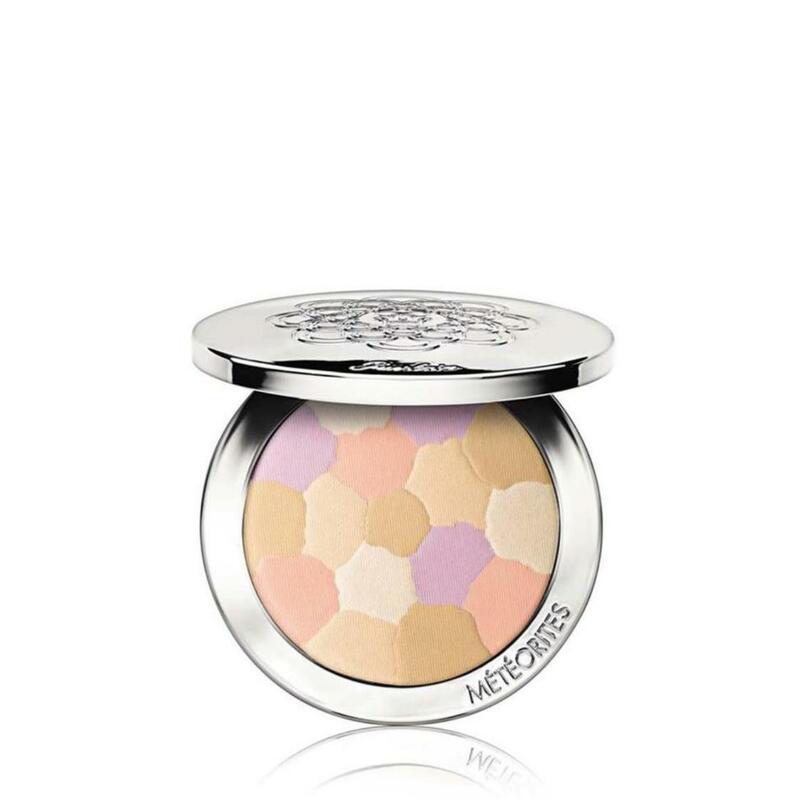 Use the Météorites Brush (sold separately) to apply evenly to the entire face to fix makeup and improve hold. For a greater boost of radiance, highlight the cheekbones and other prominent parts of the face: trace a “G” from the center of the forehead, towards the top of the cheekbone, and then from the bridge of the nose towards the chin.